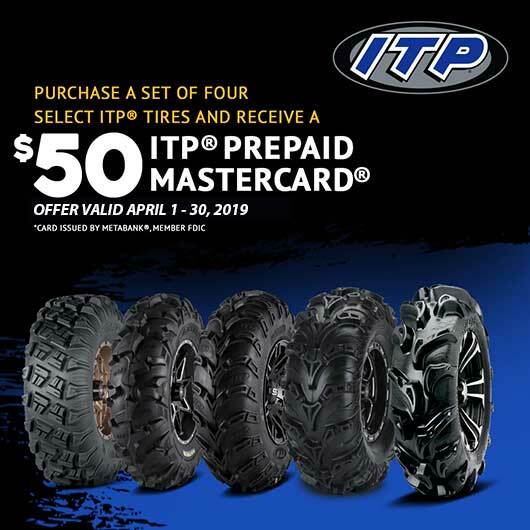 Purchase a set of 4 qualifying ITP tires between April 1 - 30, 2019.. Note: Some of our Wheel & Tire Kits qualify too - Call us for questions. Apply for your rebate by taking a photo of your receipt and uploading it to https://www.itptires.com/promotions by May 31, 2019. Send us an email or call 866-604-0800.